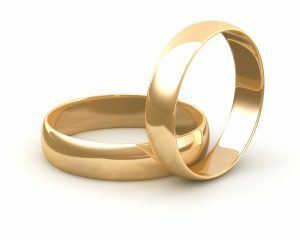 What does a divorce cost? Northwich, Cheshire, January 2017. To find out the cost of a divorce this January, arrange to see specialist family law solicitor Michael Brennan at Cheshire solicitors, Stonehewer moss. We are a new service in Northwich and the Cheshire County although Michael will has spent 25 years practicing family law . All family legal issues can be discussed without initial obligation to instruct further. Both the Law Society and Resolution, the national family lawyers association have accredited Michael as a specialist in complex financial claims in divorce and upon child arrangements. In 2015 our fixed fee package was praised as “heartening” by Resolution and we also assist if finance is appropriate to you. The fixed fee list is available on request. Everyone has a story and it is unique. Assessing the likely cost of your divorce is a responsible process and Michael will carry it out with you when you meet him, applying his experience to help you get peace of mind that your divorce should not become a costly nightmare. Our charge rate is competitive and we will occasionally offer a discount if appropriate. The old saying that you get what you pay for is usually correct and one off free meetings are not designed to resolve your legal arrangements. We are confident that we offer the best local service at a reasonable charge. Have you thought about using a credit card to fund your legal work? Stonehewer moss accept cards and have a card machine for payment by telephone or at your meeting with us. In some cases the use of the court at the right time to seek legal services orders is worth considering, as the court may order your spouse to fund legal costs to a stage in the case if you cannot afford it but he or she can. Plenty of groundwork must be done for such an application to be made and more often the use of out of court processes on an agreed basis with your spouse will be cost effective for your family, such as mediation, collaborative law or arbitration. There are loans available from commercial companies to fund a divorce, arranged by your solicitor but consider soft loans from concerned family members or friends first. This article was added on Tuesday, January 17th, 2017 at 9:57 am and is categorised under Cheshire News, Chester News, Child arrangements, collaborative law, Divorce, Family finances, Family Law, Macclesfield News, northwich solicitors, Runcorn News, St Helens news, Warrington News, Widnes News, Winsford News. Both comments and pings are currently closed. Error: Error validating access token: Session has expired on Saturday, 09-Mar-19 13:12:58 PST. The current time is Thursday, 25-Apr-19 05:58:27 PDT.